I have long considered that attending Rutgers was the second best decision of my life. Besides getting a world class education, I formed a number of very close friendships and met some extraordinary people. I count Eric Arauz as both a close friend and an extraordinary person. Eric is the President of the Trauma Institute of NJ – it is an organization that trains doctors, psychologists, social workers, nurses, academics and community members about trauma and suicide. I met Eric in the fall of 1997 when we were both undergraduate students. I was a 21 year soldier in the Army National Guard and he was a 26 year old Navy Veteran from Gulf War I. I studied history and English while he majored in American Studies. We discussed the military, history, literature, recovery, spirituality, movies and sports as we walked around New Brunswick fueled by coffee. We both had dreams of advanced scholarship and helping people on a large scale. Eric graduated with high honors from Rutgers in 2000. A few years later, he completed a Masters in Labor Relations from Rutgers, where he was once again a top graduate. During the 2000s, I worked at Integrity House, Elizabeth High School, Hunterdon Drug Awareness and Rutgers. Eric came to every place I worked (multiple times) and spoke to my clients/students about his life, the importance of education, why substances are dangerous, and how they could do anything with their lives. For all three years I taught high school English at Elizabeth, Eric came in to the school on or around September 22 and talked to my students. He did so in three different classes per day, which is exhausting – both physically and emotionally. That date is significant to me because it was the anniversary of the overdose death of my friend Frazer Curry. Eric knew him also and how important it was for me that young people learned from Frazer’s experiences. In the mid-2000s, Eric dedicated himself to becoming an expert speaker and trainer. He worked for NCADD-NJ and National Alliance on Mental Illness (NAMI), served on a national project for Substance Abuse and Mental Health Services Administration (SAMHSA), and won a Voice Award in 2009. For the last six years, he has been a faculty member at the Rutgers Medical School in the Psychiatry Division. He was appointed to the NJ Governor’s Council on Alcoholism and Drug Abuse in 2011 and immediately fought for me to be brought on as well. Eric was instrumental in helping create and run the NJ Heroin and Opiate Task Force. Our report was released in 2014. One of the handful of recommendations that has been successfully implemented was the NJ Warmline – Eric suggested it, wrote that part of the report, and then met and fought for it behind closed doors. 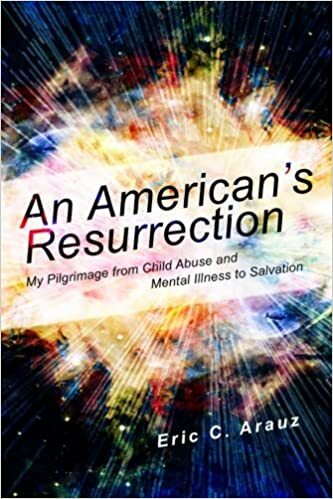 Eric’s story, An American’s Resurrection, was published in the fall of 2012. It is his story of surviving childhood abuse at the hand’s of his schizophrenic father, substance abuse, mental illness and institutionalization. I have read many books written by people with mental illnesses, and I think that this is the best one about bi-polar disorder and what it is like to be in an inpatient VA hospital. It has won numerous awards and is highly regarded within the medical and professional communities. I have assigned it to all of my senior social work students at Rutgers over the last four years. Eric has generously come to each class, hit upon aspects of his story, inspired students, and signed their books. He always gives them his email address and pledges to help them in whatever way he can. This is hard to fathom, but he does it. And he follows through. Eric finishes things. It’s so impressive. Eric has helped me in my work with soldiers, veterans and law enforcement officers. These are professions that have high rates of alcohol abuse, divorce and PTSD. There is a huge stigma in seeking help and talking about problems in those fields. Eric understands cumulative stress and secondary trauma far better than anyone that I have ever come across. Much of the work I’ve done in those areas has been made possible with the training and advice that Eric has provided me. Eric has keynoted the American Psych Nurses (APNA) National Conference and won their Champion of Psychiatric Nursing Award in 2012 with First Lady Rosalyn Carter. He was a faculty member with APNA on their five year Recovery to Practice grant with SAMHSA (the largest grant in SAMHSA’s history). He also co-authored APNA’s first set of national suicide competencies for inpatient nurses. Eric recently signed a deal with the NJ Division of Children and Family (DCF). He was the sole creator and head trainer for their Trauma program called Taming Trauma. He will train all 6000 workers. He will help them deal with the stressful conditions of their jobs – seeing kids malnourished, beaten and even sexually abused. Like soldiers and cops, child welfare workers have high rates of burnout and it shows in their divorce rates, mental health problems and substance abuse. Some of the fields that people work in are potentially very damaging – Eric is helping those that help others. He deserves every recognition and award that has come (and will come) his way. On behalf of both NJ and America, thank you Eric.